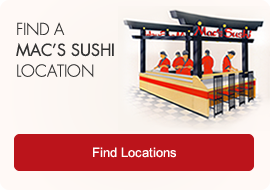 Mac’s Sushi is constantly expanding and always looking for employees who share our dedication to quality and consistency. We’re looking for both service and management oriented individuals. If you think you’re a candidate for our growing team, please fill out the form below.